Found one file extension association related to Anark Studio and 1 file format developed specifically for use with Anark Studio. The unique combination of flexibility, power and workflow is why product design, training and marketing professionals turn to Anark Studio when they need interactive 3D visualization, configuration, or marketing applications. 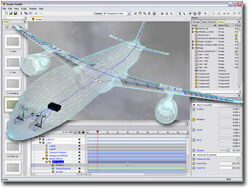 Anark Studio enables you to build enterprise-class 3D applications with expansive interactivity, menus, simulations and connectivity to your external data sources. Complete projects on time and within budget. Anark Studio’s streamlined interface has been honed by thousands of hours in intense production environments. With our industry-standard user interface, you can start building your 3D application in days, not months. If you need more information please contact the developers of Anark Studio (Anark Corporation), or check out their product website.